New operation modes have been added to the MG app v2.0. Multi-Aircraft Control mode is easy and intuitive, fully empowering users to control multiple aircraft with a single remote controller. 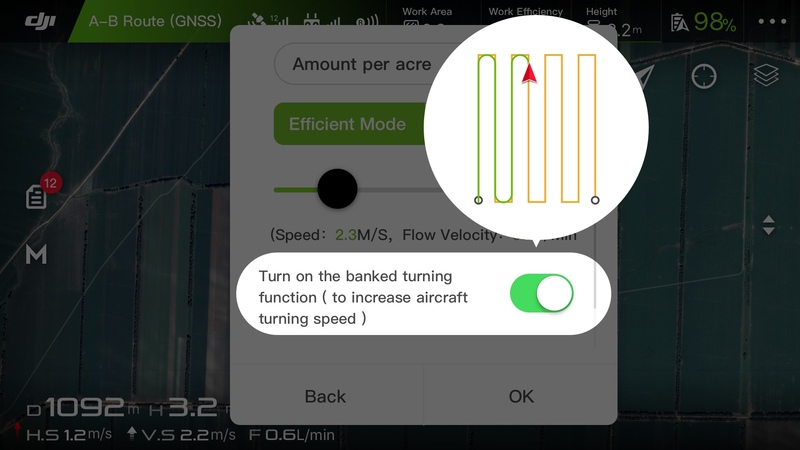 Another new operation mode is Banked Turning, which uses optimized flight routes and increases working efficiency by up to 20%. Apart from the new modes, A-B Route Operation Mode, Manual Operation Mode, and Manual Plus Operation Mode are all still available to allow a multitude of control options. The Agriculture Solution Package 2.0 is a comprehensive drone solution for manufacturers building aircraft for agriculture. It consists of the A3-AG 2.0/N3-AG 2.0 Flight Controller, Agricultural Management Unit (AMU), a delivery pump, high-precision microwave radars, a customized industrial controller, a flow meter, and the E Series propulsion systems. 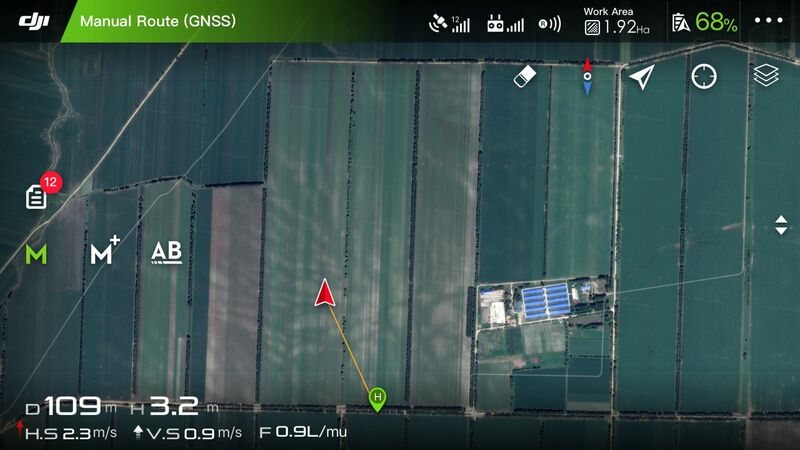 Also included is the newly added DJI Agriculture Management Platform and high-precision obstacle avoidance radar module. 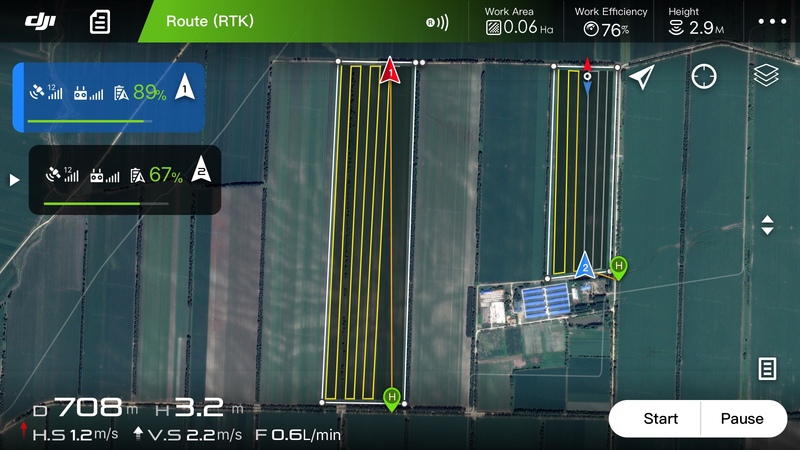 The Agriculture Solution Package 2.0 empowers manufacturers to develop dedicated and customizable flying platforms and adapt to different needs, environments, and demands. To ensure that you only receive the highest quality DJI® Agras MG series products, including MG-1, MG-1S, MG-1S RTK, MG-1S Advanced, MG-1P and MG-1P RTK, DJI is committed to selling its Agras MG series products through a trusted network of carefully selected authorized dealers. DJI strongly advises customers to purchase only from local authorized DJI® dealers and to be aware of the possible risks that may result from purchasing products outside the countries where DJI® Agras MG series product originally sold or through unverified resellers. There are unauthorized dealers that advertise and sell DJI® Agras MG series products. These products may not be operated. DJI cannot guarantee the quality or effectiveness of such products and as such, they are not covered by DJI’s warranty or return policy. DJI may also restrict the warranty service for DJI® Agras MG series products to the country where DJI or its Authorized Distributors originally sold the device. Please note that unauthorized sellers may appear on a marketplace site, hosted by companies such as Amazon, EBay and similar marketplaces. When purchasing on these marketplace sites, you should always confirm that the reseller is an authorized DJI® dealer. It is fully your responsibility as a customer to ensure that the retailer you purchase from is an authorized DJI® dealer. To verify that a dealer is authorized, please contact iuav@dji.com for information. If you want to buy this product or become the dealer of this product, please leave us your information or call +86-755-36383556 and we will contact you soon. 1. Communications range reaches up to 3 km when CE/SRRC compliant and 5 km when FCC compliant with the base station and flight altitude at 2.5 m.
2. As illustrated, the aircraft supports vertical terrain detection that allows the aircraft determine the contour of the ground below and adjust its height automatically. 3. The base station and handheld mapper are sold separately. 4. The pictures shown on the website are for reference only.